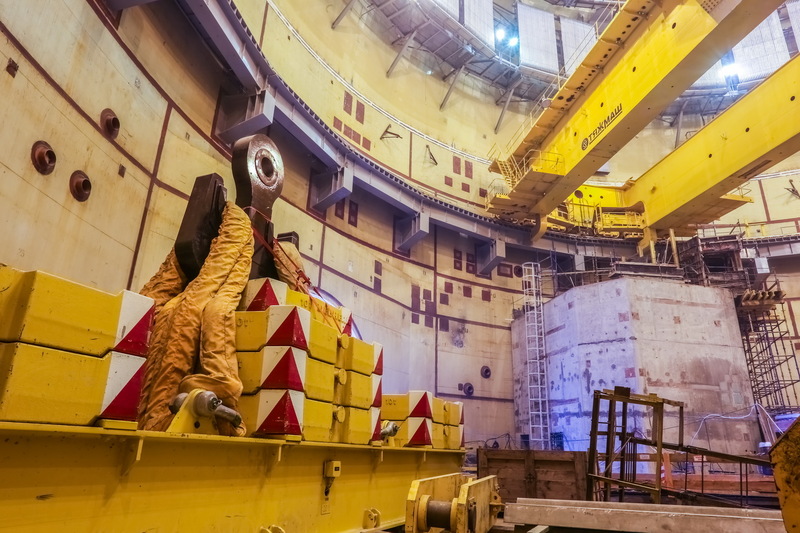 Lifting device will be operated during the nuclear fuel loading into the reactor and used to move the reactor equipment during the scheduled maintenance. The crane life span is 60 years. Installation to the design position and assembly of the crane was performed by the Lifting Devices Assembly brigade of JSC Concern Titan-2 SMU-2, while JSC SEM specialists executed electrical works. In the course of static and dynamic testing, the strength of different crane components, operation of braking mechanisms and load checks were performed. The tests showed that the crane is ready for operation. It will soon be used to install process pipelines required for the unsealed reactor flushing. Theflushingisplannedfor nextyear.